Parkside can professionally fit towbars, bullbars, nudge bars, roof racks, spotlights, electric brake controllers and so many more of the accessories we sell. 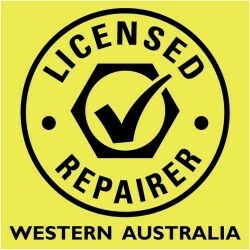 We are a Western Australian Government Licensed Vehicle Repair business and have fitment centres located in all our retail branches. Our team of fitters have a wide range of industry experience and/or relevant trade qualifications ensuring they can expertly fit the wide variety of accessories we sell. Being a Western Australian Government Licenced Vehicle Repair Business, you can be confident that your fitment will be completed to a high professional standard. Parkside have been in the towbar business since 1972. All our towbars comply with relevant ADRs and Australian Standards and come with a Lifetime Warranty. We supply and fit a wide range of products from industry leading manufacturers such as Tekonsha, Rola, Clearview, Redarc, Century and Lightforce to name a few. You can be confident that when Parkside supply and fit a product to your car that it is of high quality and fit for purpose. Towbars and towing regulations have changed a lot since 1972 when Parkside began. Fortunately we have a very knowledgeable customer service team to assist you with all your questions. Feel free to drop into one of our branches, phone or send us email and our team will be more than happy to help. You can rest assured that all towbars and front protection products sold and fitted by Parkside are designed specifically for the individual vehicle model and take into account the manufacturers specifications, government regulations and ADR's, the intended purpose of use and vehicle styling aesthetics. Can't get into one of our branches? We have a mobile fitment service that can come to your home or work place within the Perth metro area. A suitable work space is required and a call out fee will apply. Please note some products are not suitable for mobile fitment. Please contact us for further information.